Artists have always loved transformation. Shakespeare’s plays are full of characters who hide behind masks or switch gender roles. And for Renaissance artists, Ovid’s Metamorphoses was second only to the Bible as source material. Contemporary artists also deal with metamorphosis, but the transformations are much more realistic and the outcomes not merely matters of comedy or mythology. Engaging with issues of sexuality and gender roles, these artists create artistic dialogues that impact legislation, spark meaningful debate and enhance general understanding. 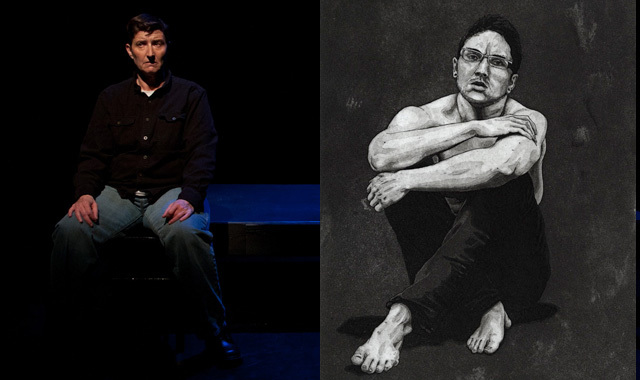 In two events this month, local artists bring that dialogue to Salt Lake City. In the March 2013 edition of 15 Bytes, Dale Thompson looks at how artists deal with non-traditional gender roles in the work of Julian Sagers and in Matthew Ivan Bennett’s Eric(a).